Individual battery cell monitoring optimises tool run time and ensures long term pack durability. Fuel gauge displays remaining charge available to complete the job. 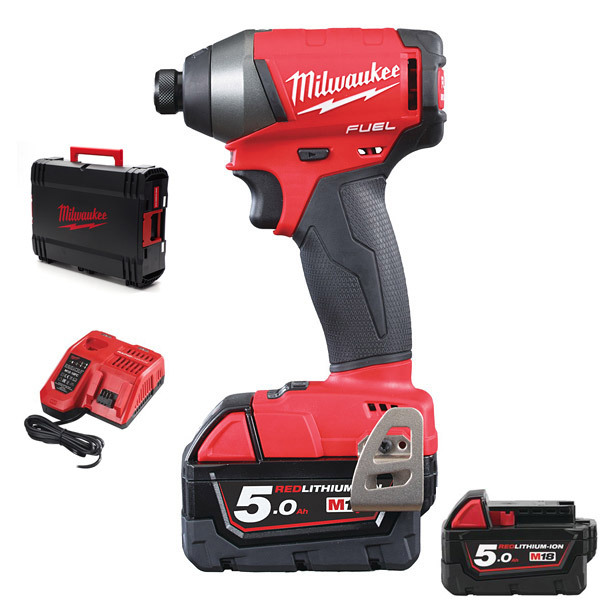 REDLINK PLUS™ intelligence system delivers the most advanced digital overload protection for tool and battery and uniquely enhances the tool performance under load. REDLITHIUM-ION™ battery pack delivers up to 2.5x more run time, up to 20% more power, up to 2x more battery life and operates better down to -20°C than other lithium-ion technologies.